John Burroughs : Surf Riding at Waikiki, 1912. Burroughs, John: Time and Change. The Century Company, New York, Volume LXXXIV, No. 4, August, 1912. A 16 page article, illustrated with 11 photographs, including a group of native boys ready to dive for coins in Honolulu Harbour and a native indulging in the sport of surfing or surf-riding, [R. W. Rice and A. W. Perkins: Surf Riding, 1904]. "John Burroughs (April 3, 1837 – March 29, 1921) was an American naturalist and essayist important in the evolution of the U.S. conservation movement. 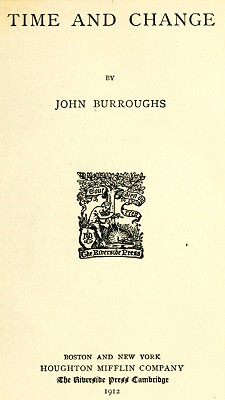 According to biographers at the American Memory project at the Library of Congress, John Burroughs was the most important practitioner after Henry David Thoreau of that especially American literary genre, the nature essay. On shore we were greeted with the music of the Royal Hawaiian Band, and a motley crowd of Hawaiians, Japanese, Chinese, Portuguese, and Americans, bearing colored lies, or wreaths of flowers, which they waved at friends on board, and with which they bedecked them as soon as they came off the gangplank. It was a Babel of tongues in which the strange, vowel-choked language of the Hawaiians was conspicuous. I had gone to Honolulu reluctantly, but tarried there joyfully. and rain-drenched heights within easy reach on the other; the green, cozy valleys; the broad sweep of plain; the new, strange nature on every side; the novel and delicious fruits; the pepsin-charged papaya, or tree melon, which tickles the palate while it heals and renews the whole digestive system; the mangoes (oh, the mangoes! ); the cordiality of the people; the inviting bungalows; the clean streets; the good service everywhere - all made me feel how mistaken was my reluctance. In climbing the heights, it was always a surprise to me to see the Pacific rise up as I rose, till it stood up like a great blue wall there against the horizon. A level plain unrolls in the same way as we mount above it, but it does not produce the same illusion [page 131] of rising up like a wall or a mountain-range ; the blue, facile water cheats the eye. One of the novel pleasures in which most travelers indulge while in Honolulu is surf-riding at Waikiki, near Diamond Head. When several hundred yards from shore, we saw, on looking seaward, the long, shining billows coming, whereupon our oarsmen headed the canoe toward shore, and plied their paddles with utmost vigor, uttering simultaneously a curious, excited cry. In a moment the breaker caught us and, in some way holding us on its crest, shot us toward the shore like an arrow. The foam flies; the waters leap about you. You are coasting on the sea, and you shout with delight and pray for the sensation to continue. But it is quickly over. The hurrying breaker slips from under you, and leaves you in the trough, while it goes foaming on the shore. Then you turn about and row out from the shore again, and wait for another chance to be shot toward the land on the foaming crest of a great Pacific wave. I suppose the trick is in the skill of the oarsmen in holding the boat on the pitch of the billow so that in its rush it takes you with it. The native [page 132] boys do the feat standing on a plank. I was tempted to try this myself, but of course made a comical failure. Geoff Cater (2012-2016) : John Burroughs : Surf Riding at Waikiki, 1912.